This is the concluding post of a three part exploration of the National Railway Museum located in suburban Port Adelaide. If you haven’t already visited the first two posts, I invite you to first visit Part 1 and Part 2. 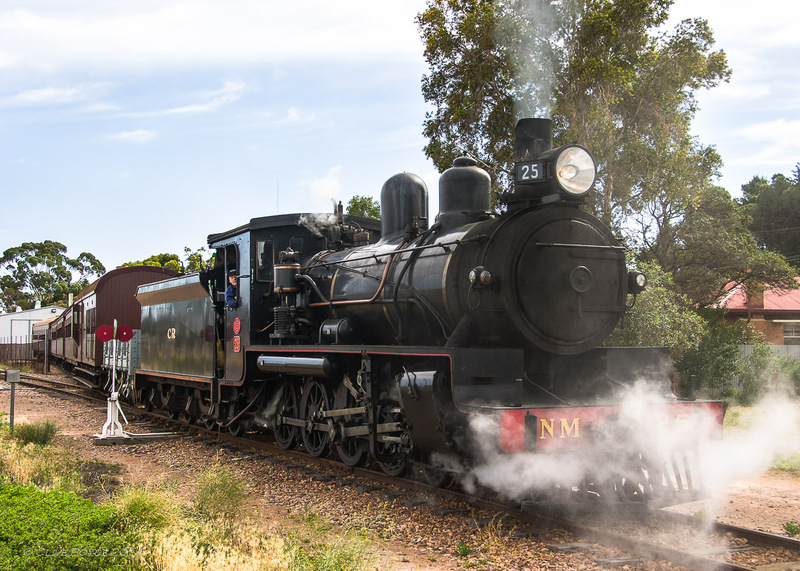 Part 1 looks at the narrow gauge steam locomotives that powered South Australia’s mid-north narrow gauge network, while Part 2 explores the history of the State’s broad gauge network. This third post is a bit of a catch all, covering a selection of the museum’s other rolling stock. First up, a quick look at some of the South Australia’s private railways. BHP Limited operated a short line between the company’s Iron Knob iron ore mine and the town of Whyalla. 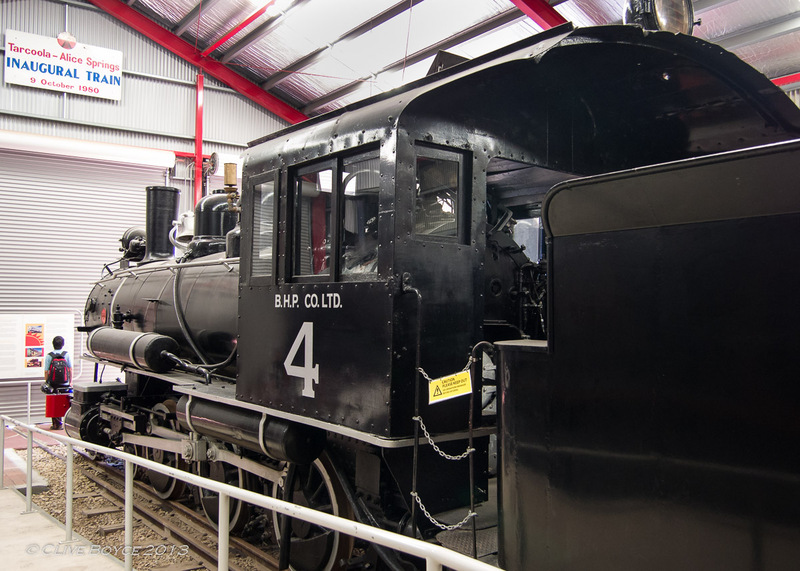 Rather than turn to British types like the government railways, BHP sourced two 4-6-0 steam locomotives from the US maker, Baldwin Locomotive Works, in 1914. BHP 4 has that classic US look, even though a cow catcher wasn’t fitted. This entry was posted in Adelaide, Australia, Machinery, Places to Visit, Trains and tagged Adelaide, National Railway Museum, Photography, Port Adelaide, South Australia, South Australian Railways, Steam Trains, tourist attraction, Train Museum on December 26, 2013 by aussiesouthlander. This is the second post of a three part exploration of the National Railway Museum located in suburban Port Adelaide. Rather than repeat the introduction to the museum and South Australia’s railway systems, I invite you to visit Part 1 if you have not already done so. Part 1 looks at the narrow gauge steam locomotives that powered South Australia’s mid-north narrow gauge network. In this post, attention will turn to South Australia’s 5 foot 3 inch broad gauge railways. This entry was posted in Adelaide, Australia, Machinery, Places to Visit, Trains and tagged Adelaide, National Railway Museum, Photography, Port Adelaide, South Australia, South Australian Railways, Steam Trains, tourist attraction, Train Museum on December 11, 2013 by aussiesouthlander. I’ve found myself going through a plane, train and ship spotting phase this year, and recently spent a day visiting two of the three transport related museums situated in the Port Adelaide area. I should mention at this point that I don’t plan for Photo Morsels to morph into a machinery-spotter’s paradise to the exclusion of all else. I will revert to other subjects once I have worked off all this machinery spotting! I’ve previously posted images from the South Australian Aviation Museum here. In this and some following posts, I’ll cover the second museum visited, the National Railway Museum. This entry was posted in Adelaide, Places to Visit, Trains and tagged Adelaide, National Railway Museum, Photography, Port Adelaide, Silverton Tramways Company, South Australia, South Australian Railways, Steam Trains, tourist attraction, Train Museum on November 28, 2013 by aussiesouthlander.